Alberta’s agriculture minister went to India to open doors for trade deals and ended up on a celebrity chef’s cooking show. The February trade mission was the first by an Alberta agriculture minister and, it’s safe to say, also the first time one has ended up making an Alberta barley-and-pea risotto on YouTube. Oneil Carlier’s flying three-day visit was tacked on to the end of a mission to the United Arab Emirates, and took him to Mumbai and Delhi. There he met with the Indian-Canadian business chamber, agriculture and agri-food stakeholders, state representatives, and the Forum of Indian Food Importers. Carlier wasn’t there to sign business deals, he said, but to open the doors that will get them inked. The entire journey, for Carlier, one staff member and two officials, came in at around $50,000. “As the province and an agriculture industry, we need to be in India. We need to be there more than we are,” Carlier said. A memorandum of understanding between Alberta and the state of Punjab was signed in 2014, but nothing ever came of it. 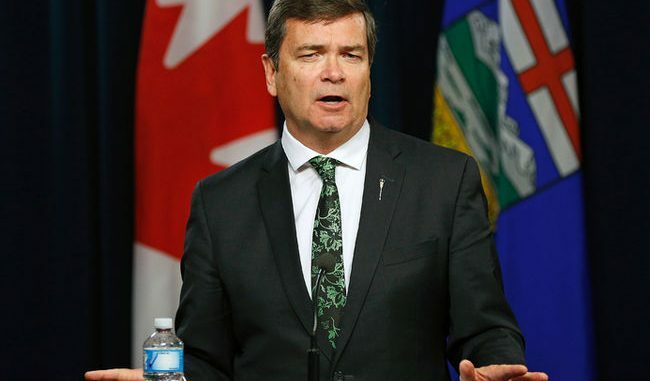 Alberta wants to shake the dust off that agreement and get the ball rolling on deals, and Carlier said his next trip will take him to the northern state. Trade Minister Deron Bilous is also looking to get to India in the next couple of years. India’s young population, its expanding middle class, fast-growing economy and the fact it will soon surpass China as the most populous nation in the world makes it a prime target for the government’s diversification goals. “For Alberta, we need to be there, we need to take this opportunity,” Carlier said. Alberta already has some roads into the Indian market, particularly around pulse crops like lentils, yellow peas and green peas. Around 20 per cent of the nation’s lentil and pea imports come from Canada, Carlier said, which makes the country an important export market for Alberta. That’s why Carlier ended up on Vicky Ratnani’s cooking show, extolling the virtues of Alberta crops. But there are opportunities beyond pulses and grains, Carlier said, and he’s planning on sitting down with industry representatives in Alberta to figure out what more can be done and how to proceed. “As the population of India grows, they’re going to want more of those products,” he said.